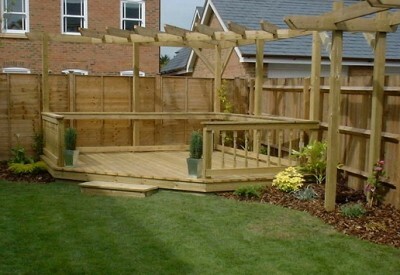 Garden decking is a beautiful way to create an interesting and unique patio area for your home. As it is so versatile, the sky is the limit when it comes to the design. With new fixing techniques and modern inexpensive lighting available we can guarantee uniqueness and the “WOW” factor…. We know how important your garden is to you. You may have a picture in your head of exactly how you want it to look. If so, that’s great – we’re happy to work to your plans. If you’re less sure of what you want, we’ll be happy to discuss potential designs with you. Whatever you decide, we want you to be totally happy before any construction begins. Laying decking requires much less preparatory work than, say, a conventional stone patio. It certainly takes less time to lay! We think you’ll be pleasantly surprised at how little disruption the construction of your deck will create. Nevertheless, we will keep you informed at all times of the work in progress to ensure that it has the minimum impact on your life. Decking is especially suited to multi level gardens or to be integrated with swimming pools, water features, spas and gazebos. 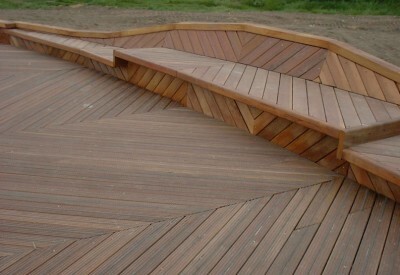 For more information on our decking services please contact us. We would be more than happy to discuss your requirements and ideas.